Some interior inspiration on this chilly Wednesday. 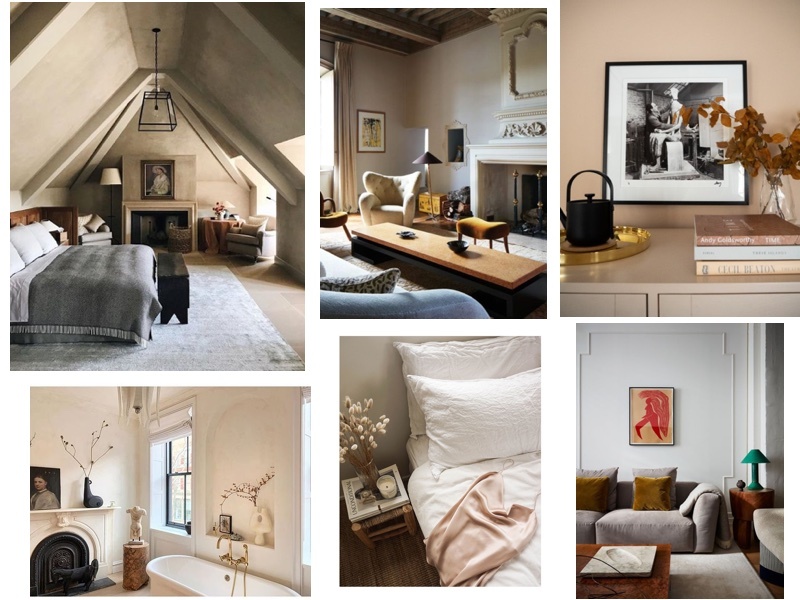 Sourced primarily from the gorgeous Heckfield Place (hotel goals) and Eye-Swoon Brooklyn townhouse. I've been loving touches of warm jewel colours alongside a neutral palette, like the velvet cushions and brass tray. I'm also very into the dried flowers in the bathroom, by the bed and the side table- they really add dimension to a small space.